Dr. Clary is a Chiropractic Neurologist and an educator for Chiropractic. Dr. Fred Clary, D.C., D.I.B.C.N. is the creator of the newest chiropractic technique, Functional Analysis. This technique focuses on detecting and correcting breathing inefficiencies as well as gait patterns. He lectures nationally for attorneys, medical physicians, physical therapists, chiropractors, and athletic trainers in their pursuit of continuing education hours. 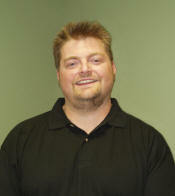 Dr. Clary holds many state, national, and world records in power lifting and was voted Best Chiropractor in Roseville. Read Dr. Fred Clary's blog for ongoing additional information. Dr. Fred Clary earned his doctor of chiropractic degree from Northwestern College of Chiropractic and his Bachelor’s of Science degree from Northwestern Health Sciences University in 1992. He studied cell biology at the University of Maryland Baltimore County. He continued his education at Life College-West where, in 1997, he trained in chiropractic spinal trauma. He completed the didactic portion of a master’s program in health care administration from Cardinal Stritch University. Click here to link to Dr. Fred Clary's lecture schedule and chiropractic seminars.